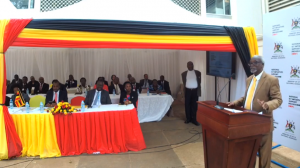 The Minister of State for Tourism, Godfrey Kiwanda recently revealed that Grammy Award-winning rapper Kanye Omari West and his wife Kimberly Noel Kardashian West would visit Uganda again next February. He said Government plans to name them Goodwill Tourism Ambassadors as a marketing strategy for the country as a preferred global tourist destination. Named ‘Kanyesigye’ (meaning “let me trust”) by President Yoweri Museveni, Kanye is a skilled American record producer, controversial fashion designer, outspoken rapper, prolific songwriter, devout film director and self-believing entrepreneur from Chicago, Illinois, USA. Born in Atlanta, Georgia in 1977 and grown up in the middle-class background by his highly educated teaching mother, Dr Donda Williams West (PhD), he rose to fame in the mid-2000s. He had a knack for creativity and poetry from a very young age, starting his rapping career at seven years. At 20, he decided to drop out of college and pursue professional music. His mother supported the decision. His wife Kardashian, also named by the President as ‘Kemigisha’ (meaning “the one with blessings from God”), is a perfect model, reality television star, astute entrepreneur, confirmed author and thick-skinned socialite. The second of four children, she was born in Beverly Hills, California to Attorney Robert Kardashian and Kristen Mary Houghton, a fastidious television personality and producer, talent manager, savvy businesswoman and upper crust socialite. The celebrity couple planned to be in Uganda for one week. Their private jet touched down at Entebbe International Airport at 3:00pm local time on October 12, 2018. A military chopper immediately evacuated them to the luxurious Chobe Safari Lodge, the gem along the ancient 6,695-km (4,160 miles) River Nile. Arguably, the Nile is the world’s longest river that runs through Murchison Falls National Park (MFNP), the largest of Uganda’s largely unexploited 10 national parks. At Chobe Safari a local recording company, Swangz Avenue set up six dome-shaped studios for Kanyesigye to record some tracks for his “Yandhi” album that was scheduled for outing on November 23, 2018. This would be an exposé for the hidden Pearl of Africa, as popularised by Winston Churchill in his 1908 book entitled “My African Journey” about his trip to Uganda in 1907. While in MFNP, Kanyesigye reactivated his ye@kanyewest Twitter handle which he had closed a week earlier. The first live periscope videos he shared were of him performing and recording some of his music in the wild. At the start he is seen seated on a black leather sofa inside a dome, wearing black shorts, orange T-shirt and wrapped in the Uganda national flag. He also spots dark shades and a cap striped in the same national colours. In a segment of the recording, he drops the flag and exits the marquee to reveal the backdrop of lush green dense vegetation that committedly overlooks the tranquil R. Nile. Within hours his seven tweets drew more than 87,700 likes, with over 22,000 people tweeting about the couple’s presence in Uganda. They were here with Good Music American rapper Sean Michael Leonard Anderson aka Big Sean, and a crew of 150 people, including Nigerian musician Maleek Berry and Teyana Taylor, a native in Harlem neighbourhood of New York City who has had a labyrinthine career as a Rhythm and Blues (R&B) recording artist, singer and actress. The worldwide media coverage of the visit was priceless but cast Uganda in the best light as a perfect African holiday safari destination: safe, secure, friendly, welcoming and hospitable. However, the guests only got a glimpse. They missed the shy but sometimes aggressive Mountain gorillas, the knuckle-walking chimpanzees, the cone-shaped Virunga volcanoes, the Semliki Valley Sempaya hot springs which is a geyser shooting from the depths through an eight-metre-wide opening in a low salt sculpture to demonstrate powerful subterranean forces that have shaped the rift valley for the last 14 million years. The water emerging therefrom has a temperature of above 100°C that cooks a fresh sweet potato in a matter of minutes. Kanyesigye should have marveled at the fabled Mountains of the Moon, the jaw-dropping Kabarole crater lakes, the royal mile in ecologically diverse Budongo forest, the hidden tropical Ssese Islands, the rugged Kidepo Valley and the illuminated Source of the Nile Bridge, to mention a few. It was perhaps Kardashian’s description on Snap Chat of how much they loved Uganda that really touched off organic reach on social media: “Dear world there is another heaven in Uganda. Everything is real as soon as you enter this beautiful peaceful country, the air is so fresh, the amazing water bodies and too much green forests and bushes are so relaxing to watch every minute, then the very anxious welcoming beautiful people with real smiles, eagerness to help,” she posted from Murchison Falls National Park. The 38-year-old influencer brand advocate has 119 million followers, almost triple Uganda’s population, on Instagram and 59.4 million, Kenya’s and Rwanda’s population combined, on Twitter. 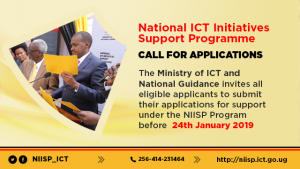 One is only left with fertile imagination of how many million replies, re-tweets or favorites she actually got as Uganda lies in wait to reap the economic benefits therefrom in the new meeting place online. According to Socialbakers, a global social media analytics company based in Prague, Czech Republic, Kardashian tweets a lot at an average of 16 times per day. She is the 11th most followed personality on Twitter after, among others, Katy Perry who has topped the charts since 2013 currently with 107.8 million followers, Canadian singer-songwriter Justin Bieber with 105.3 million followers, former US President Barack Obama, in third position with 103.5 million, and American singer Taylor Alison Swift (84 million) who follows nobody and has sent out only 100 tweets since joining the platform in 2008. With 28.7 million, Kanye is the 56th most followed personality. Together with his wife, they have Twitter followers more than double the entire Uganda’s population. 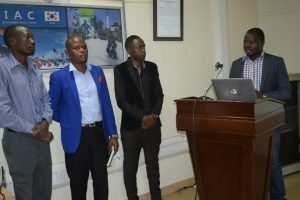 For Government to appoint them as Goodwill Tourism Ambassadors next February is to make an optimistically futuristic statement on the industry facts and figures. 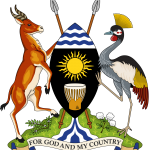 Africa has 54 recognised countries but the celebs chose Uganda, courtesy of PHG Consulting, the public relations firm that Government hired to link the country’s tourism niche with the North American market. The goodwill-ambassador phenomenon is not new. Since the early 1950s, the world has enlisted services of prominent persons of international stature in the fields of art, literature, science, entertainment, sports or other fields of public life to draw attention to contemporary activities. They volunteer their time, talent and passion to raise awareness using their celebrity status. The United Nations designated such individuals as Goodwill Ambassadors in 1954. In her book published in 2015, An Insider’s Guide to the UN, journalist Fasulo Linda says organizations use goodwill ambassadors to promote their programmes. To accomplish this, they typically travel, attend social functions, participate in round-table discussions, make public appearances and do media interviews, among other activities: they are essentially marketing a product. An axiom of marketing is that a satisfied customer shares their experience with one or two others, while a dissatisfied one does with ten or more. In the age of social media, this is amplified to have a profound impact. 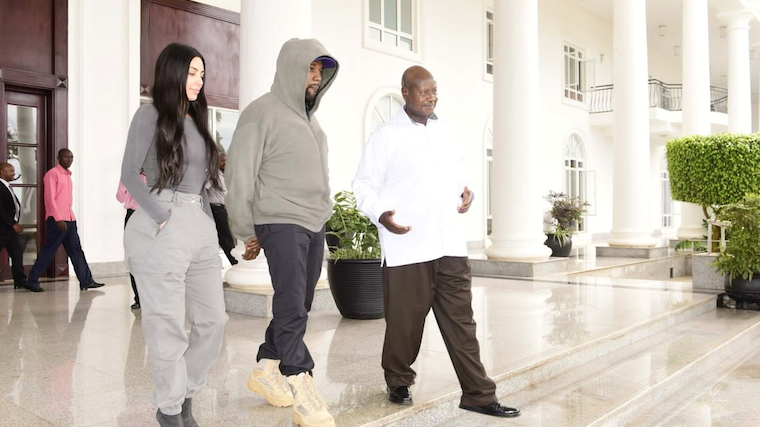 The planned appointment of Kanye Omari West and wife Kimberly Noel Kardashian West as Uganda’s Goodwill Tourism Ambassadors will galvanise international limelight for inbound tourist numbers to surge. The raised international profile gained from increased tourism usually turns into soft power, helping to give the nation a greater and recognised international voice. This leads to stronger negotiating power in geo-political economics.